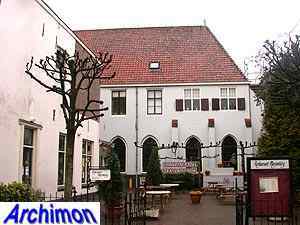 The reformed church was founded as the catholic St. Nicolaas in 1309, but the church was rebuilt after 1466. The most interesting parts of the church are the ambulatory and, especially, the tower. 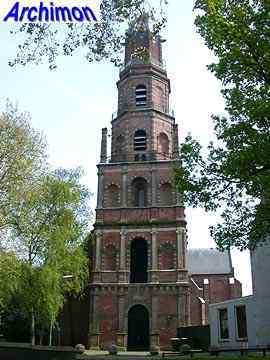 This tower was designed by Italian architect Alessandro Pasqualini and is a rare example of pure Italian renaissance architecture in The Netherlands. Of Cistercian monastery Mariënberg only a part of the south-east wing remains. Although it has been altered its original function is still recognizable by the pointed windows and the buttresses. It's now a restaurant. 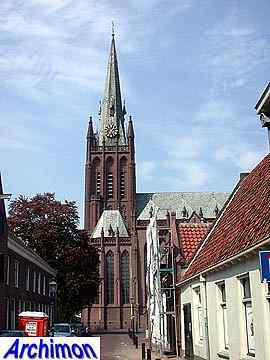 The catholic St. Nicolaas is a big neo-Gothic hall-church and one of the most important works of architect A. Tepe. It dates from 1885-1887.